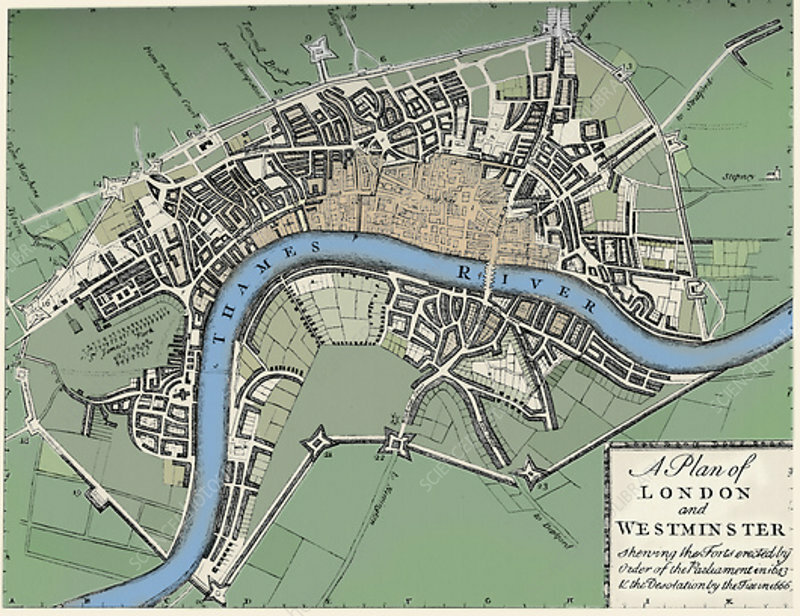 Plan of London and Westminster, 1749 (1903). A plan of London published in The Gentleman's Magazine in June 1749 showing the 1643 defences for the Civil War and the area destroyed by the Great Fire of London in 1666. The defences were built to protect the city from attacks by Charles I and his 15,000 Royalist troops. All 23 forts are shown. From London in the Time of the Stuarts, by Sir Walter Besant. Charles Black, London, 1903).